Just made these cookies yesterday afternoon. Made 2 batches, to give away and to keep. They are so moist and perfect. I use natural peanut butter ! Preheat oven to 350. Take 2 baking sheets. In a mixing bowl, stir together the flour, baking soda, baking powder, and salt. Set aside. In the bowl of a stand-mixer fitted with the paddle attachment, beat the butter and peanut butter together until smooth and fluffy. Add the sugars until combined, then incorporate the egg, followed by the milk and vanilla. Gradually add in the flour mixture and beat until thoroughly combined. 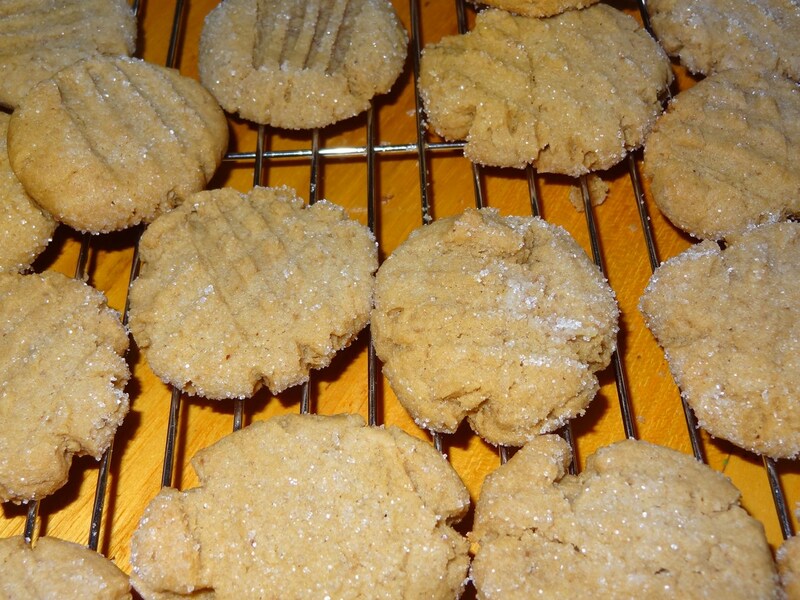 In a small bowl, put a few tablespoons of sugar for rolling your cookies. Using a medium cookie scoop, portion out your dough and roll each ball into the sugar until coated on all sides. Place on baking sheet, allowing room for the cookies to spread out while baking. You can use a fork to flatten cookies. Bake for 10-12 minutes (mine were perfect at 11), being careful not to over bake. The cookies will look slightly underdone in the center, but they are not. They will set up as they cool.